Purchasing stair parts doesn’t have to break the bank. 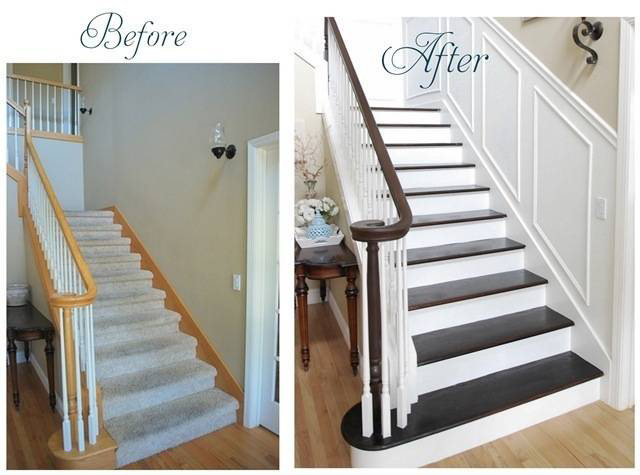 There are many ways to remodel your stairs on a budget. While some options are more cost-effective than others they depend on the conditions of your situation and what if any concessions you are willing to make. Perhaps you want to use your stairs to help sell your house, to simply enhance your own home or to repair or replace damaged components. Whatever your intentions, here are some ideas for how and where to save money in your stair budget. The first is to determine what if any of your stair parts can be salvaged. Often it is possible to keep the handrail, newel posts landing shoes and tread caps while only replacing the balusters. Since balusters take up the most visible space of a railing system changing them often has the greatest visual impact of any system. Woodstairs.com offers a simple and innovative new method for replacing wood balusters with wrought iron balusters with IronPro by LJ Smith. 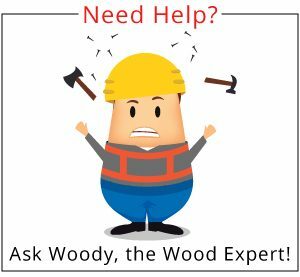 This revolutionary method allows even the most inexperienced carpenter or do-it-yourselfer to accomplish this task. By changing the balusters alone you can transform your staircase from traditional wood to craftsman, wrought iron or contemporary. You can also make dramatic enhancements simply by replacing only a few wood balusters with a section of wrought iron or replacing every other baluster with a more ornate wood baluster can make dramatic changes in appearance. Another method of changing the appearance is to simply restain and/or paint your balustrade. For example, if you have a golden brown Red Oak balustrade you might consider a darker stain on the handrail, newel posts and landing cap while painting the balusters white. This creates a dramatic contrast that may rejuvenate your existing balustrade without replacing any of the actual parts. Of course, there is the option of replacing the entire balustrade using overstock items. 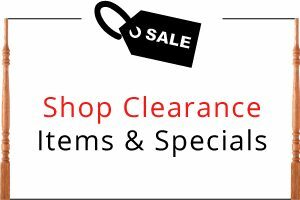 Many companies have overstocked or discontinued components that are available at dramatically discounted pricing. If you are flexible in your design look for these deals. 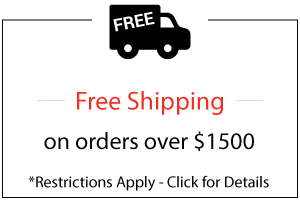 For example, WoodStairs.com often has stair parts that we discount at prices far less than standard. Because these products vary so frequently, your best bet with any company is to call to ask. While we try to maintain our Steals and Deals, these products are snatched up so quickly we often don’t have time to post them and replace them. So give us a call and we will tell you exactly what we have currently overstocked or what we anticipate soon. In fact, if you tell us what you are looking for, and you have time to wait for that perfect deal, we are happy to take your information and call you as soon as we have anything that resembles what you are after.